Tony (Hugh Bonneville) and Kathy (Toni Collette) reflect on the disaster. Kathy (Toni Collette) and Tham (Samrit Machielsen) find the remainings of his home. Kathy (Toni Collette) meets British tourist Kim (Gina McKee) at the hospital. Dwayne (Paul Dano) and Frank (Steve Carell) try to keep Olive out of the contest. 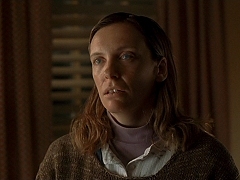 Sheryl (Toni Collette) is devastated to find out about Richard (Greg Kinnear) losing his deal. 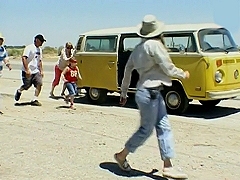 The Hoover family finds out that Olive (Abigail Breslin) is elible for the Little Miss Sunshine contest. 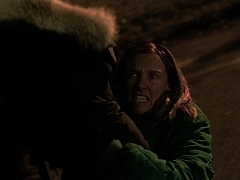 Donna (Toni Collette) reveals her deranged personality to Gabriel (Robin Williams). On their first visit, Gabriel (Robin Williams) is surprised to find out Donna (Toni Collette) is blind. Gabriel (Robin Williams) talks to social worker Donna (Toni Collette) on the phone. 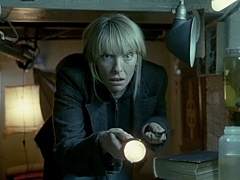 While searching the basement for clues, Sally (Toni Collette) finds herself in deadly trouble. Sally (Toni Collette) is visited by fellow phychiatrist Martin (Richard Roxburgh). Sally Rowe (Toni Collette) has her first meeting with murder suspect Alex (Eddie Redmayne). 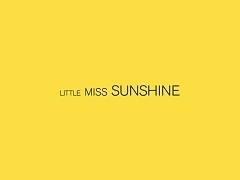 Compilation of press junket interviews with the cast and crew of Little Miss Sunshine, featuring Greg Kinnear, Toni Collette, Alan Arkin, Steve Carell and Abigail Breslin. Press junket interview with Toni Collette to promote the theatrical release of "Little Miss Sunshine" in the United States. Excerpt from the documentary "On the Road with the Hoovers", featuring interview with the cast and crew and scenes from the rehearsals. Toni Collette is interviewed on the set of "Little Miss Sunshine". Press junket interview with Toni Collette to promote the theatrical release of "The Night Listener" in the United States. 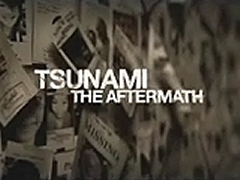 Trailer for the television HBO film "Tsunami: The Aftermath", starring Tim Roth, Hugh Bonneville and Toni Collette. Theatrical trailer for "Little Miss Sunshine", directed by Jonathan Dayton and Valerie Faris and starring Greg Kinnear, Toni Collette and Steve Carrell. 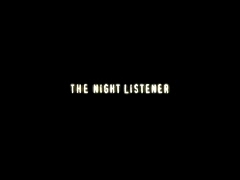 Theatrical trailer for "The Night Listener", directed by Patrick Stettner and starring Robin Williams and Toni Collette. 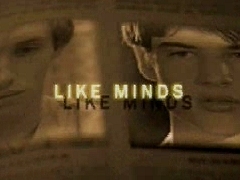 American theatrical trailer for "Like Minds", directed by Gregory J. Read and starring Toni Collette, Richrd Roxburgh and Eddie Redmayne. Theatrical trailer for "Like Minds", directed by Gregory J. Read and starring Toni Collette, Richrd Roxburgh and Eddie Redmayne.